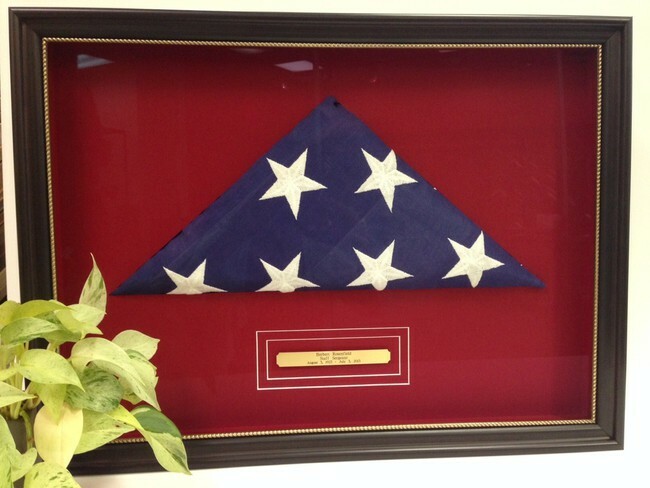 We have recently had a lot of interest in framing the American Flag. Like everything else, there is more than one way to do this. Here are 2 examples that we have put together in the past month. Of course, it depends on the size of your space as well as the size of your flag. Folding the flag may be the perfect solution for a smaller space or for a larger flag. Adding photographs or war medals help to personalize your project. We love coming up with new ideas to make your project special.